This changeable transitional weather we are having at the moment can make striking the balance between looking great and dressing for the season a challenge. 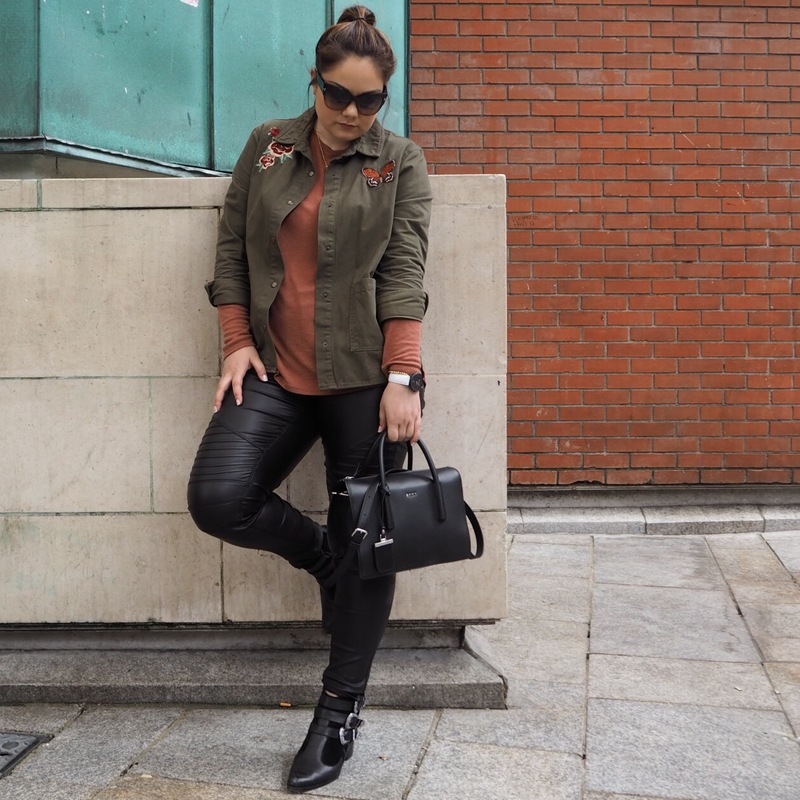 A khaki jacket is a perfect staple to have in your wardrobe coming into the summer months as you can throw it on over a top or dress and it goes great with jeans and trainers or boots. It is a dynamic piece to have in your wardrobe that will carry you straight through summer. Khaki is one of those neutral colours that goes with everything and the embroidery detail keeps your wardrobe right on trend. 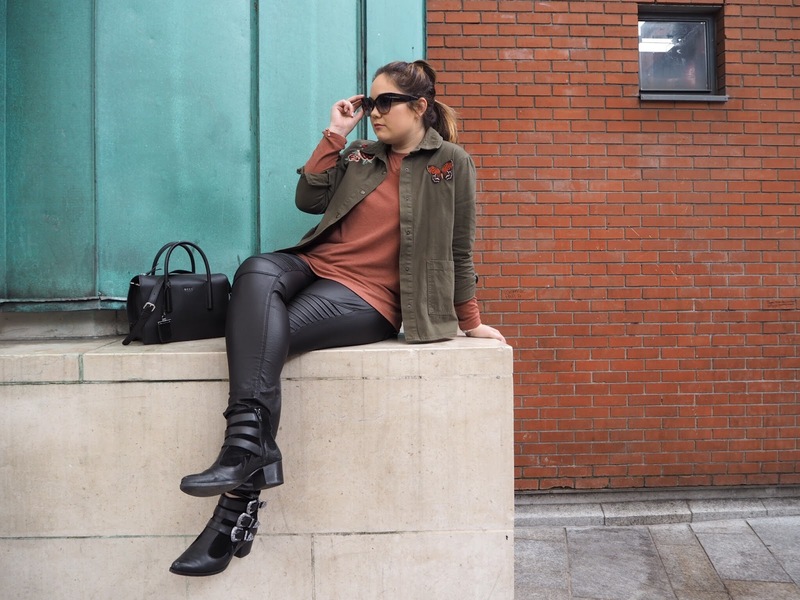 The star of this look is the jacket from Penneys, it pulls the outfit together and was ideal for a busy day of events and meetings. 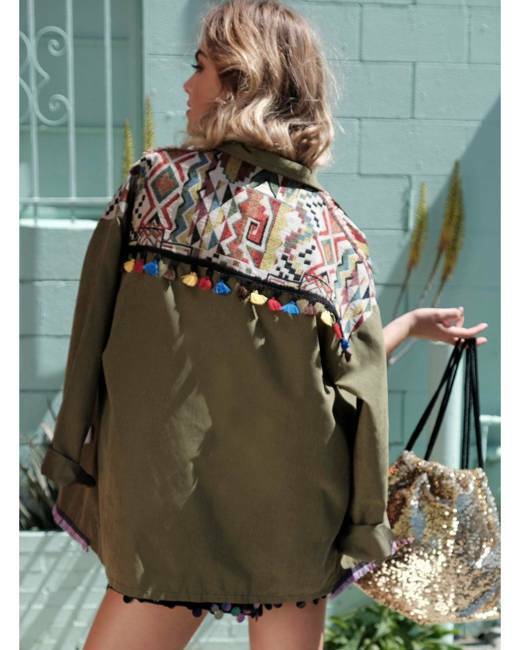 You can recreate a look like this by shopping some of these similar style jackets, there are so many lovely options out there at the minute and embroidery is a hot trend that isn't going away any time soon! This one is from River Island, it is a great length and fit with just enough detail in the distressed hem and rolled up sleeves make it super casual for summer days. 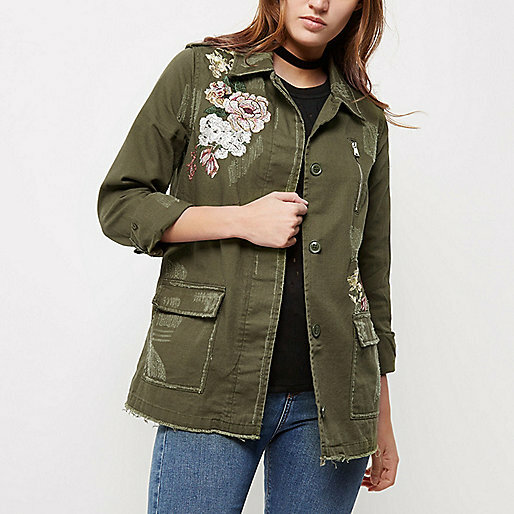 Shop this jacket here. 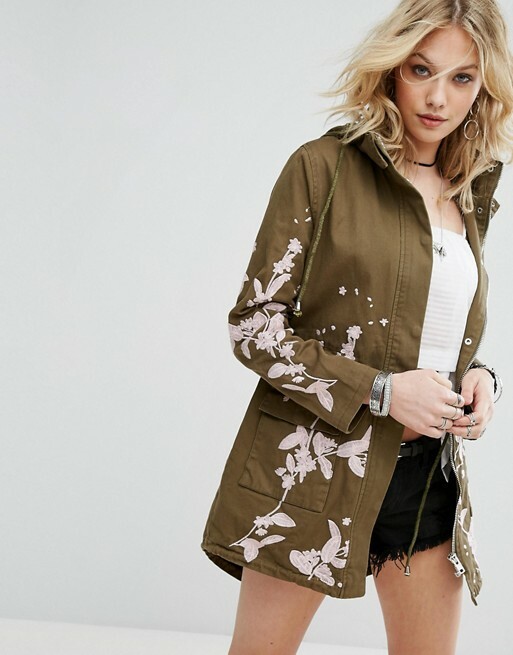 This lightweight embroidered parka from ASOS has the most beautiful detailing and brings something a little different to your wardrobe while still being very wearable. Shop it here. This is called the Festival Jacket over on Boohoo.com for all the right reasons! Breathe life into your new season wardrobe with this effortless pop of colour. Shop it here. Check out this fab number from Boohoo.com that will totally smarten up your summer look. This beautiful flower print and tailoring would look complete over any summer outfit from day to night. Shop it here. 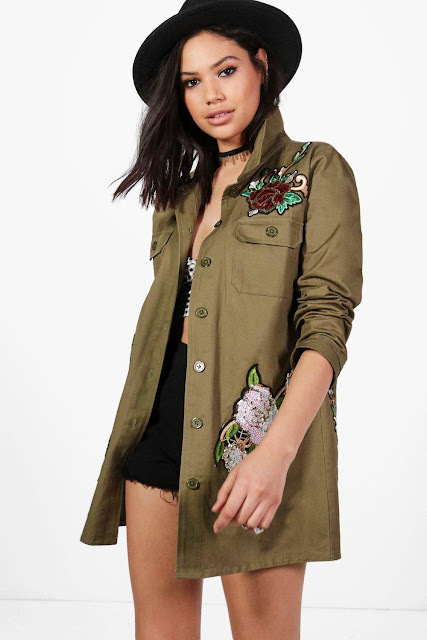 If you love a good army print jacket this one from Nasty Gal could be your next best purchase! Check out the pocket and collar detailing for a relaxed look. Shop it here. Let me know if you like this look and if you have a go at recreating it tag me on Instagram. I love seeing your pictures. Disclaimer - Some of these links are affiliated links with RewardStyle and a small amount of commission can be made through sales.